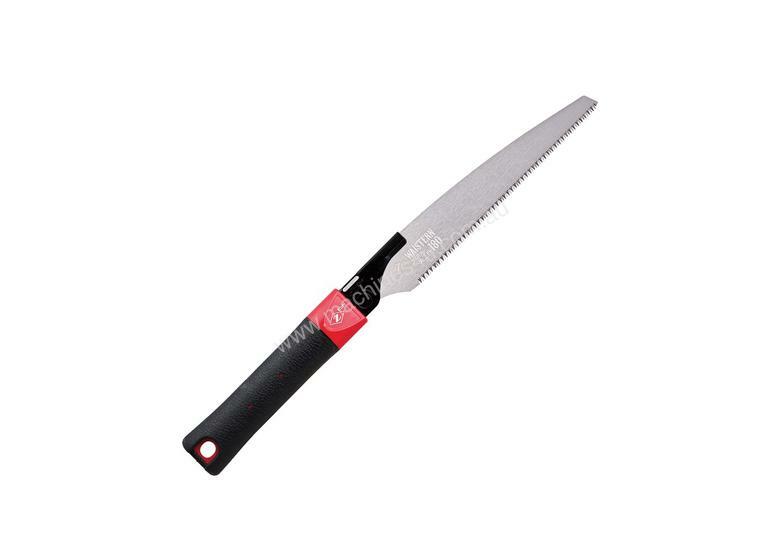 The Japanese Waistern 180 Wood Pullsaw has a compact body with sharply ground teeth that is ideal for woodworking in confined spaces. The specially designed fore blade also allows you to make plunge cuts in the centre of a board. 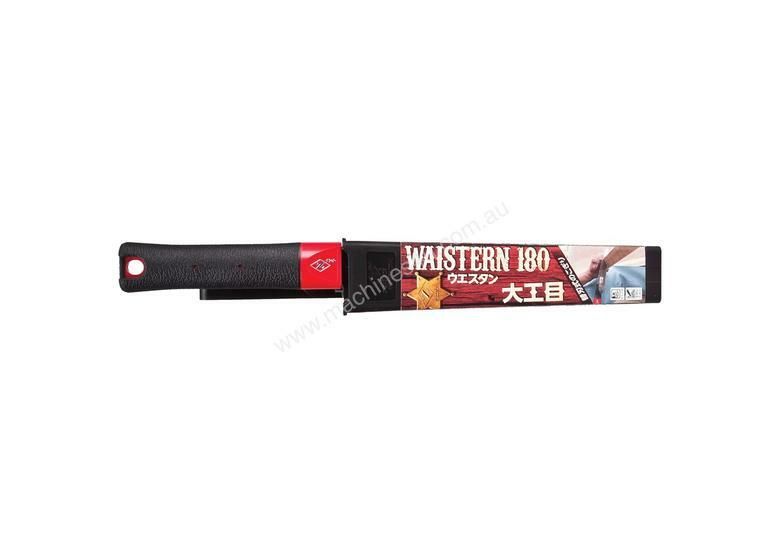 The Waistern saws come with a handy hard plastic sheath featuring a clip on loop so it fits easily to your belt. The saw may be unsheathed by one hand and is easy to manoeuvre. The short straight handle is ideal for use with relatively short saw blades for more balanced strokes. These saws are hardened through the Hard Impulse" treatment to increase the degree of hardness to the level of HV800-950 which is the maximum hardness that can be achieved on steel. Implementing this treatment on the tips of the saw teeth means that they are able to stay sharp much longer than conventional counterparts while the core of the blade remains both flexible and tough to prevent bending or buckling during use."